goeasy Ltd. (pre-2017) hasn't added a story. For a third consecutive year, goeasy partnered up with Habitat for Humanity to raise funds and send top company performers to build houses for local families in 3rd world countries. We chose to team up with Habitat for Humanity because we believe that we share the same vision to provide assistance to families and individuals facing financial distress. Two years ago, goeasy sent 22 volunteers to Nicaragua who helped build homes for families in the local community. Last year, 24 goeasy employees travelled to India to help build additional homes for the ones in need. Since 2015, goeasy has raised $85,000 to help build homes for families impacted by poverty. This humbling experience opened-up their eyes and hearts to giving back to others and displayed the true meaning of working as a team. Between July 1 and September 30, all goeasy employees have a chance to win a trip to Guatemala to participate in our Race to the Build initiative in January of 2018! Habitat for Humanity ’s mission is to provide volunteers with the opportunity to build affordable housing and promote home ownership in effort to end poverty that affects millions of people around the world. By owning their own home, families can achieve greater stability and improve their overall health, while building equity for their future. goeasy Ltd. (pre-2017) hasn't posted any updates yet. 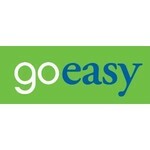 goeasy Ltd. (pre-2017) is managing the funds for this campaign.